Hokanson electronic instruments carry a five year warranty. Instruments are warranted against defects in parts, workmanship and performance for a period of five years from the date of delivery provided that they have not been abused or repaired by an unauthorized person. Transducers, strain gauges, and accessories are warranted for one year. Durable blood pressure cuffs are warranted for two years. Batteries are excluded from warranty. Repair is free of charge when the instrument is returned prepaid. Return shipment will be made at our expense in a manner similar to your shipment to us. If for any reason we are unable to repair your instrument within five working days we can, when needed, provide a free loaner instrument at our expense. Q: How do I know if my instrument is still under warranty? A: Call us with the product serial number and we can help you. Q: How do I clean my Hokanson cuffs? A: See Cuff Cleaning Instructions above. Q: Why is my Rapid Cuff Inflation System not inflating cuffs? A: Be sure to check all hoses on both the device side and patient side. A: Yes. Please contact us directly so we can make repair and loaner system arrangements. Q: My MD6 Doppler is not working? A: Be sure that the Doppler unit is turned on and volume is turned up. If the unit still does not work make sure that the unit is charged by plugging it in. If still no sound the unit may need a new battery. Q: How do we put the Rapid Cuff Inflation System together? A: Please see Rapid Cuff Inflation System installation video. 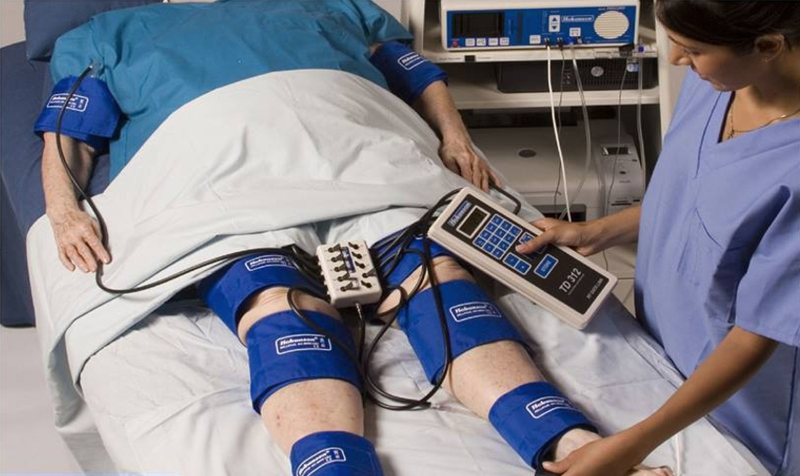 Q: Can I receive training on my new Hokanson device? A: Yes. Please contact us directly to set up onsite training.